he also sings up a storm and writes cracking songs. Morley is a true original”. Jake Morley is one of the UK’s most original singer-songwriters at the top of his game. Having played over 400 national and international gigs in the past few years, it’s hardly surprising that he has been invited to share stages with many leading lights of modern English songwriting such as Ed Sheeran, Ben Howard and Lucy Rose. Jake may be difficult to categorise stylistically - part acoustic, part pop, part singer-songwriter, part folk - but what’s not difficult is to acknowledge his captivating live show, his groundbreaking guitar techniques, his passion for words and ideas and his charismatic power to connect. In North America, things moved very quickly after a showcase at Folk North in Toronto. His storming live set caught the ears of the influential music community including Director of Folk Music Canada Tamara Kater, established music promoter Brad Hunt and respected US booker Mark Lourie of Skyline Artists. Follow-up showcases at FAI 2017 attracted the attention of industry and bookers across Canada and North America. His current 2018 official showcase at FAI comes in the midst of recording new tracks for the next album and will be followed by a run of UK supports & solo gigs in May, summer festivals in Canada and a full UK solo tour in Autumn 2018. Born in London, Morley developed his unusual lap-tapping guitar style, catching the attention of producers Phill Brown (Talk Talk / Faithless / Bob Marley) and Calum MacColl (Peggy Seeger / Rokia Traore / Eddi Reader / Black). The result was the critically acclaimed debut album ‘Many Fish To Fry’. Cherished by a cult following, Jake regularly plays across the UK and has recently toured France, Switzerland and Canada. 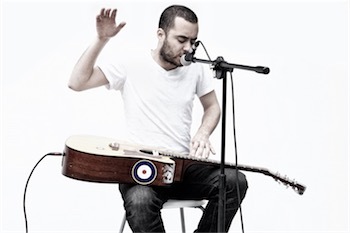 He has played dozens of festivals including the Isle of Wight Festival, Secret Garden Party and Vancouver Folk Festival. His songs have been played on national and regional UK BBC radio and CBC Canadian radio and he has performed live on national television. National press coverage includes a 4* review in The Independent, 'New Band of The Day' in The Guardian and full-length features in the music press.